We had got a young male glider for our three year old female glider, we had the male fixed before receiving him and now have had them together for a little over a month and the male which is around five months out of pouch give or take has started mating her constantly to where she can hardly get any thing to eat, is this normal especially since he is fixed? 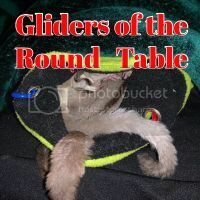 I'm still REALLY new to gliders, but that doesn't sound too odd to me. Neutered dogs will try to mate with other dogs. My sister even had a female dog that would mount other dogs, male or female. Sometimes animals just do weird stuff. Yes, Males will still try to mate the female. The female still goes into heat. 1 registered members (KarenE), 40 guests, and 38 spiders.